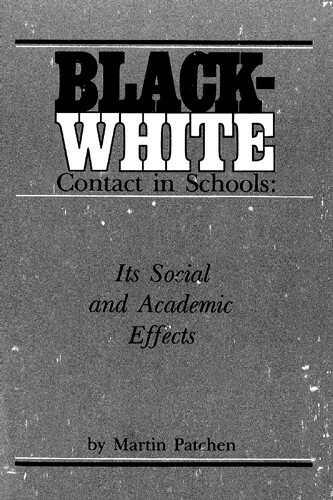 As reviewers of research on school desegregation have pointed out, it is important to learn more about the conditions under which interracial contact in schools has positive, rather than negative, effects on students. This book presents the results of a major study, which investigates this issue. Based on research in all the public high schools of Indianapolis, it is probably the most in-depth investigation of interracial contact in schools, which has ever been conducted. 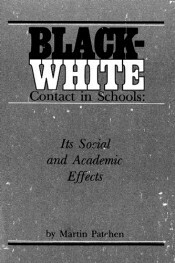 After describing the behaviors and attitudes of black students and of white students toward schoolmates of the other race, the author explores the conditions under which friendly, rather than unfriendly, attitudes and behavior occur. He also explores the effects of interracial contact on academic outcomes for students of both races, focusing especially on the conditions under which such contact has the most positive effects on effort and performance. Results are presented in the context of previous theory and research, and policy implications of the findings are suggested. The book will interest both academics and those non-academics concerned with schools and with race relations, including sociologists, social psychologists, educators, government officials, and members of the community concerned with educational and/or race relations issues in general and with the issues of racial integration in the schools in particular.